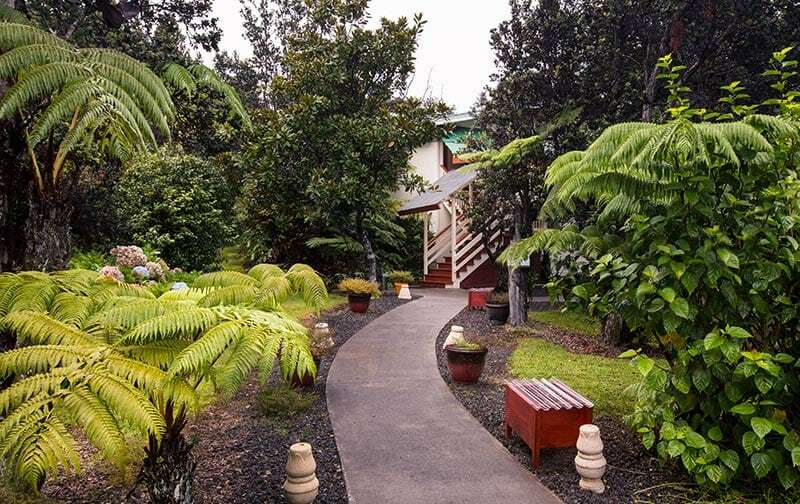 Near Volcanoes National Park, you’ll find our surprisingly inexpensive lodging. 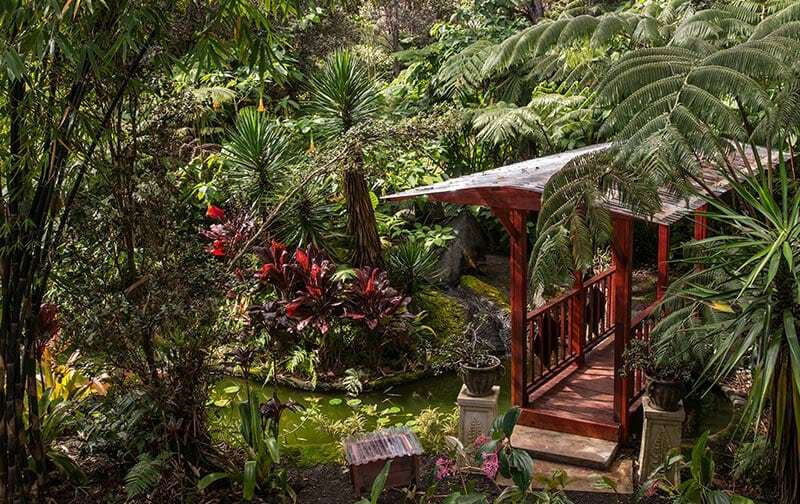 We’re nestled in an amazing spot – a true tropical rainforest. It’s absolutely beautiful. And yes, it rains! A, phenomenal 102 inches per year. (2.6 meters per year). 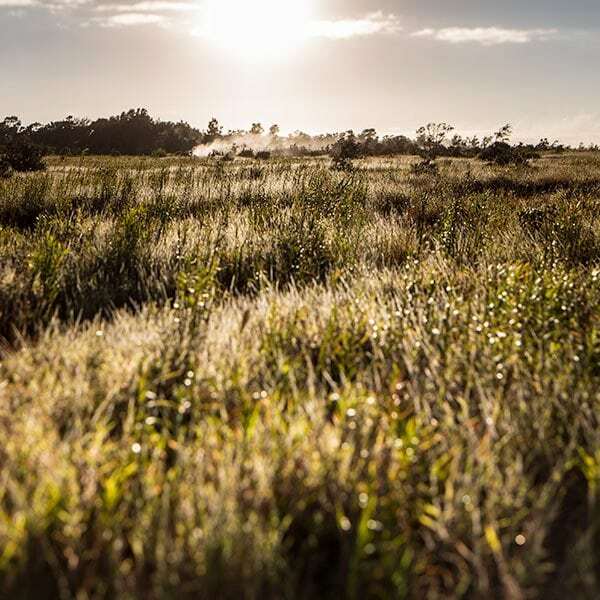 We’re near the town of Volcano Village, and only 3 miles from the spectacular Volcanoes National Park. 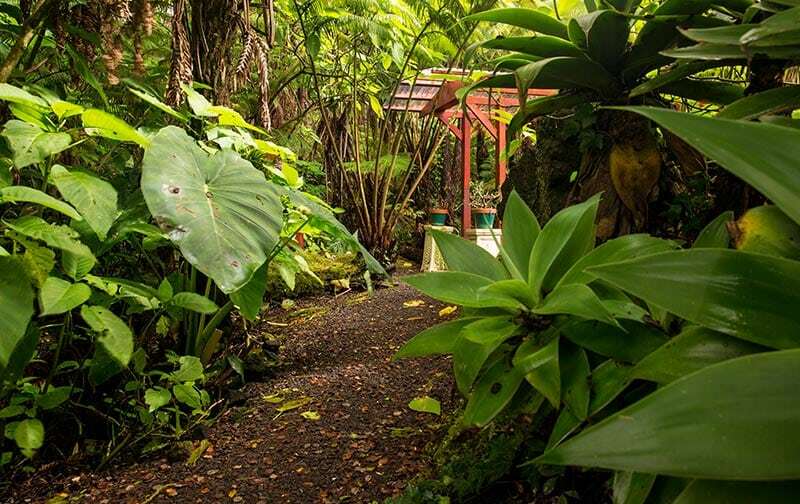 Our rainforest location is perfect for exploring the Big Island. 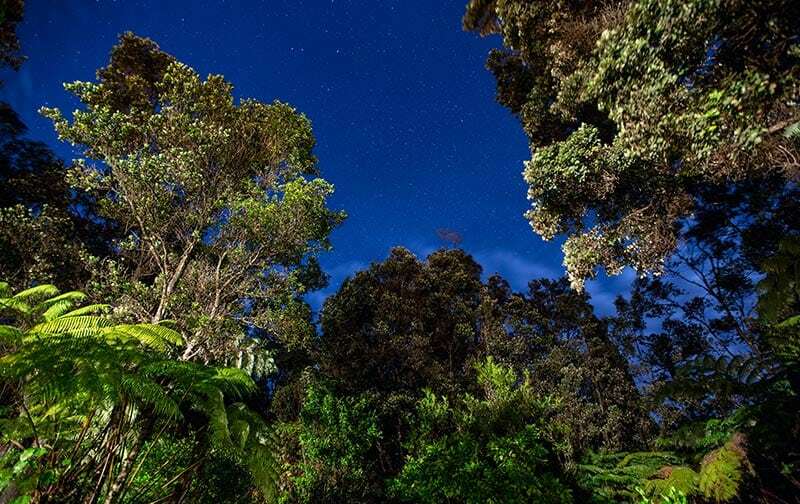 Experience the rainforest with us – on any budget. 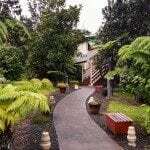 Kilauea Hospitality Group offers 3 choices in lodging – luxury, moderate and budget. 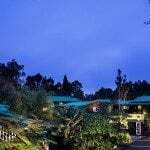 Chalet Kilauea Hotel is the choice for travelers seeking upscale amenities and rooms individually designed and crafted with great attention to detail. 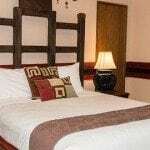 Lokahi Lodge is moderate and comfortable. 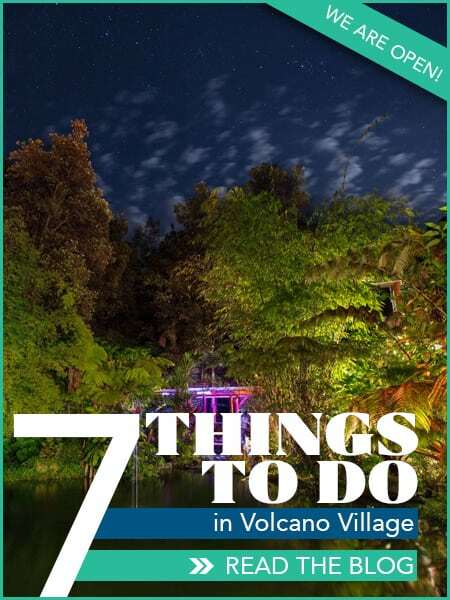 Volcano Hale provides basic accommodations for travelers on a budget. The three properties are just a short drive from each other. 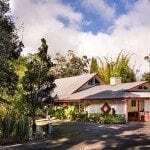 The main office (serving all 3) is housed at the Chalet Kilauea Hotel location, a 5-minute drive from the National Park entrance. The Big Island of Hawaii is much larger than other Hawaiian Islands. A day is really not enough – everyone wishes for more. Staying several days allows you to see Volcanoes National Park in a way you just can’t do in one. Trust us. There are must-see drives and great hikes you won’t want to miss. Everyone thinks of Hawaii as the beach. And hey, we love the beach, too. 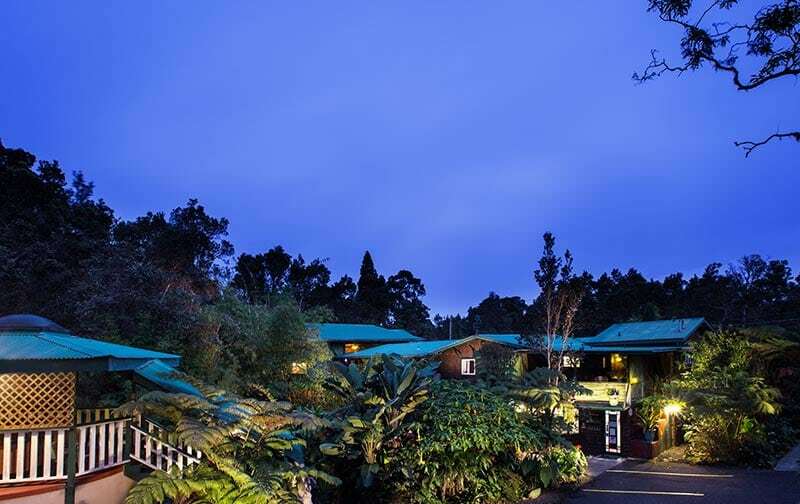 But staying in a real rainforest – that’s probably more of a once in a lifetime opportunity. 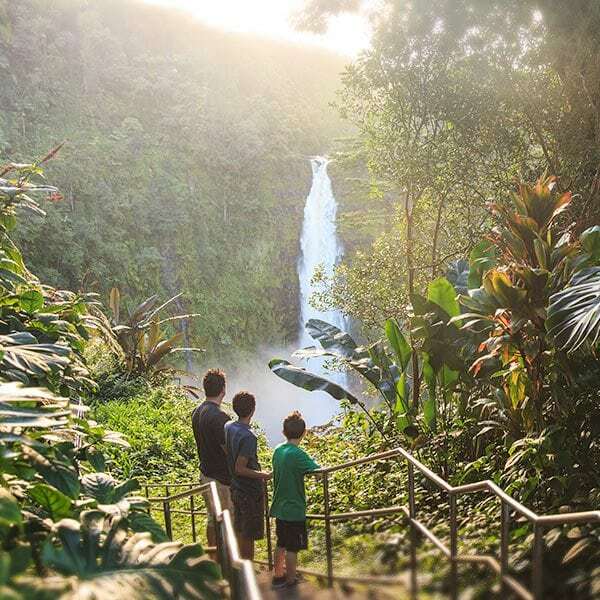 To help plan your stay, see travel itineraries of our favorite not-to-miss suggestions for exploring the Big Island. 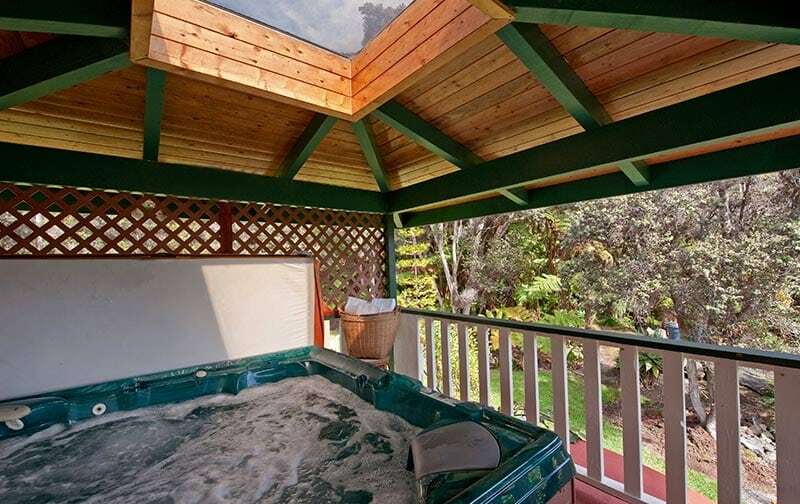 Vacation rental just 5 minutes from the entrance of Hawaii Volcanoes National Park. 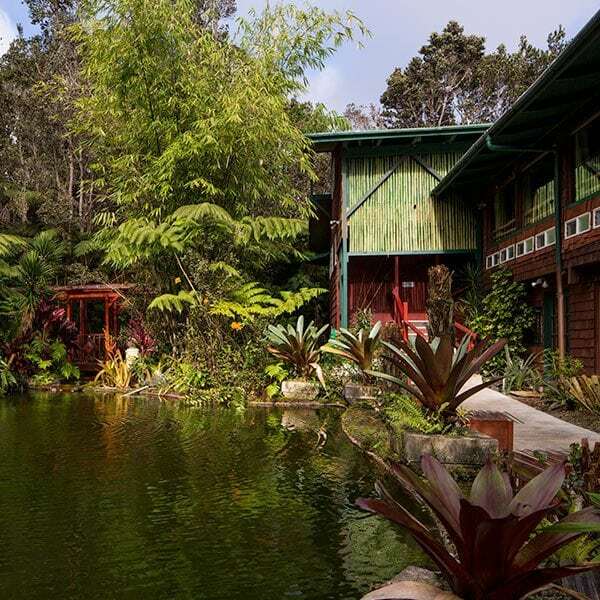 Nestled in the rainforest. Our most luxurious rooms. 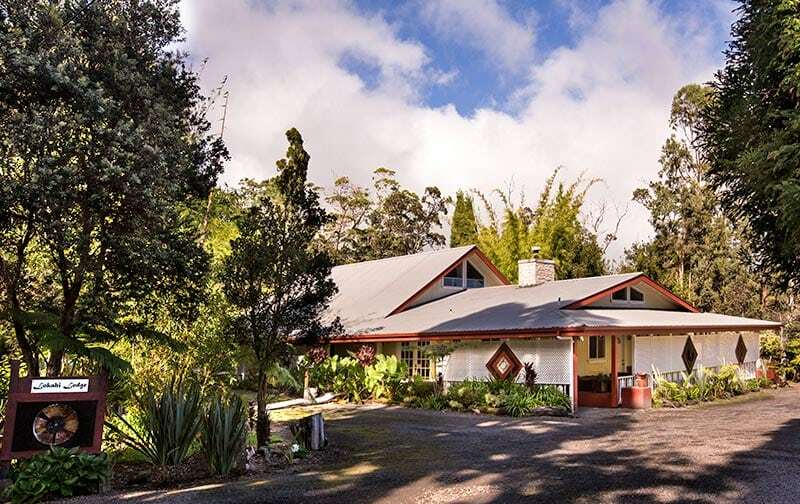 A short drive from our Kilauea Hotel office. This vacation rental has affordable and clean rooms. 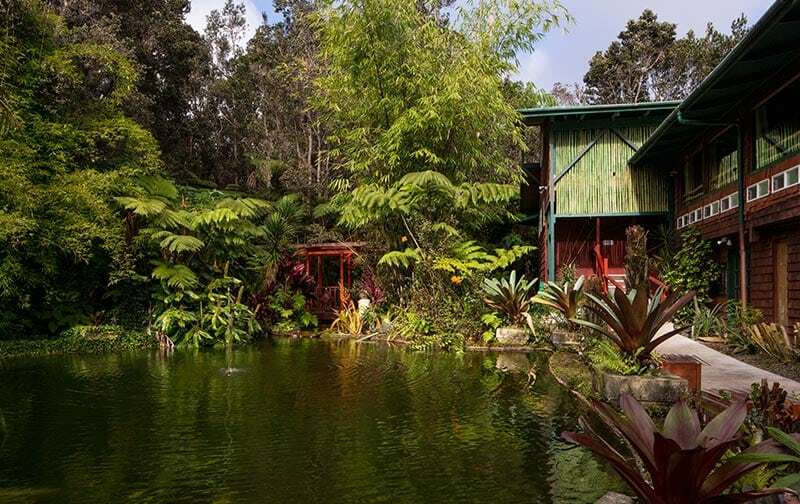 Located within a beautiful Hawaiian rainforest. 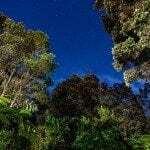 A short drive from our Kilauea Hotel office. 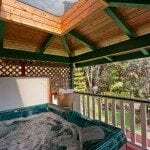 Great vacation rental location and perfect for budget travelers or backpackers. 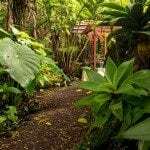 All of our properties are situated in a very peaceful rainforest location. Great place to take some time. Read a book. Relax. 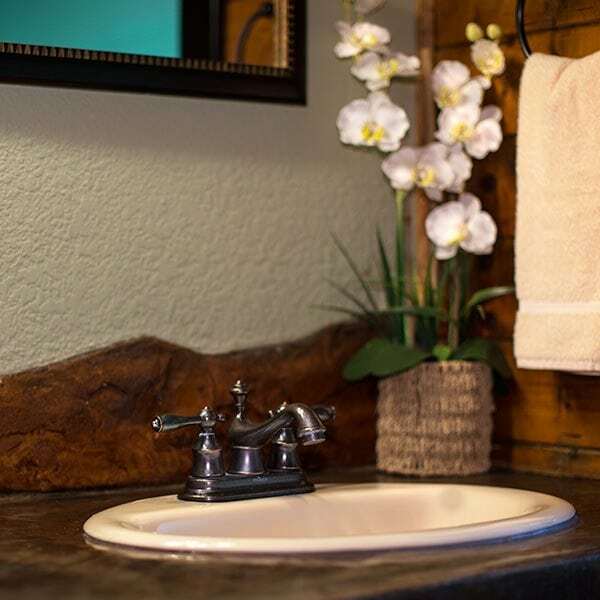 Each hotel is eco-friendly, affordable, and offers a level of service, aloha and cleaning standards unmatched. 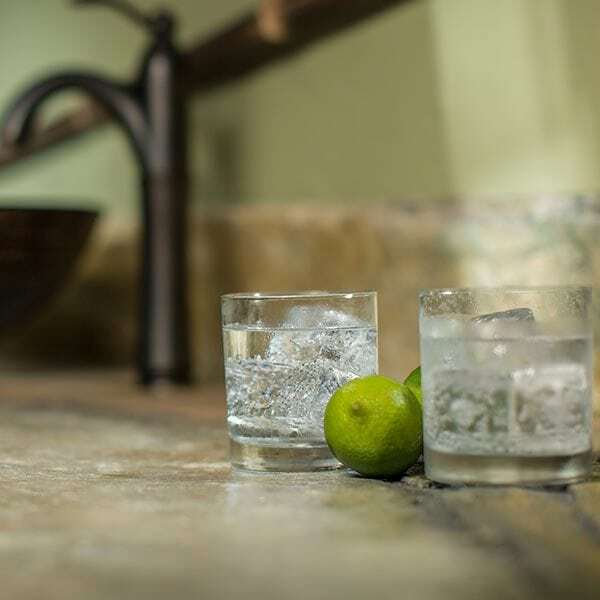 Some of the room’s amenities include tv, wet bar, mini-fridge, coffee maker, and microwave. Please read room descriptions before making reservations. 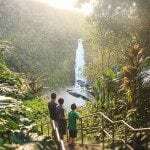 Be sure to check out other near by area attractions like, Black Sands Beach, Akaka Falls, Kapoho Warm Ponds, and many more. 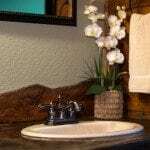 We offer daily housekeeping to all properties, but some are limited. Please review the descriptions before making your reservations. We loved staying in the rainforest room. 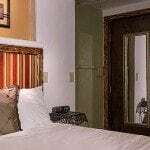 My husband and I have travelled around the world and stayed in over 50+ hotel rooms. Chalet Kilauea’s hotel room was the most unique room we ever stayed in. 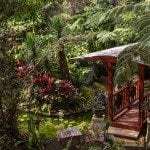 Fantastic rain forest setting with wonderful amenities in the rooms! 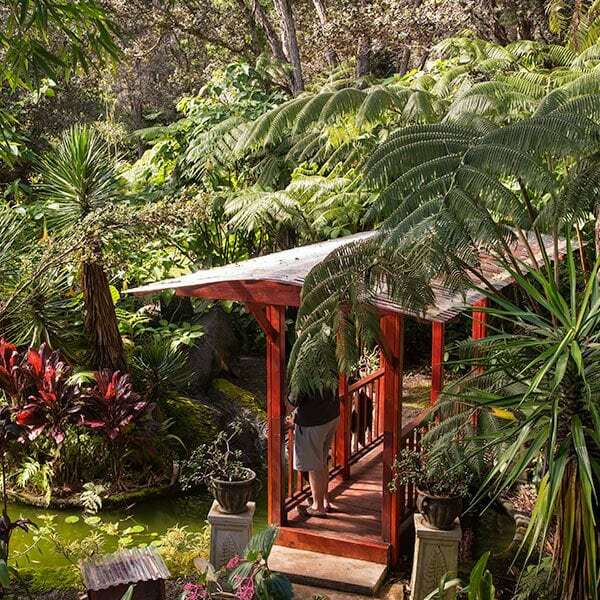 Each room is very unique with great views of the outside plant life. 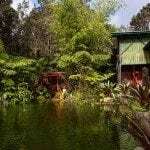 This place is one of the most peaceful and quiet settings that we have ever had the pleasure of staying at. Highly Recommend !!! Service was excellent. Room is fantastic. Location great. What else might one need? !